A bestseller in Germany since its 2011 release--with rights sold in seventeen countries--"The Collini Case "combines the classic courtroom procedural with modern European history in a legal thriller worthy of John Grisham and Scott Turow. Fabrizio Collini is recently retired. He's a quiet, unassuming man with no indications that he's capable of hurting anyone. And yet he brutally murders a prominent industrialist in one of Berlin's most exclusive hotels. Collini ends up in the charge of Caspar Leinen, a rookie defense lawyer eager to launch his career with a not-guilty verdict. 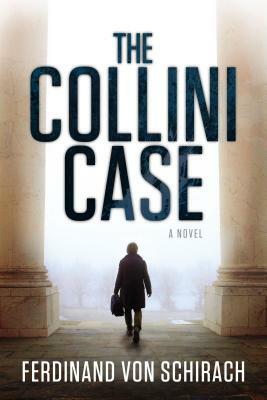 Complications soon arise when Collini admits to the murder but refuses to give his motive, much less speak to anyone. As Leinen searches for clues he discovers a personal connection to the victim and unearths a terrible truth at the heart of Germany's legal system that stretches back to World War II. But how much is he willing to sacrifice to expose the truth? Ferdinand Von Schirach is one of Germany's most prominent defense lawyers and a prolific author. His short story collections, "Crime "and "Guilt," were instant bestsellers in Germany and have been translated in more than thirty territories. He lives in Berlin.